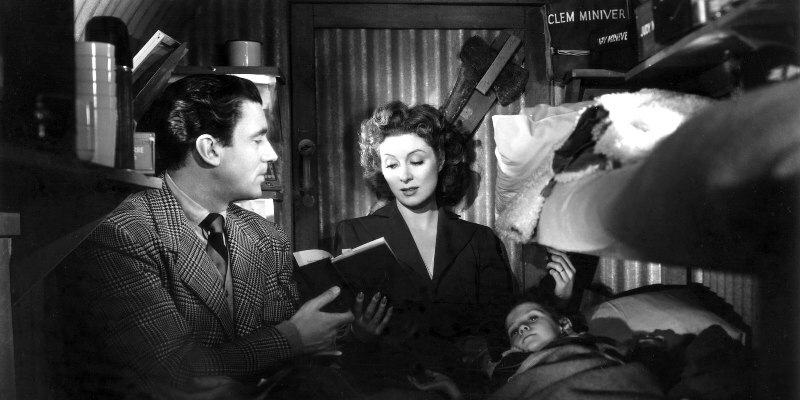 In pre-World War 2 England, the Miniver family live a happy life. Mrs. Miniver (Greer Garson) spends her days going to town and spending their money on frivolities, and feels guilty about buying an expensive new hat-type thing that I would never describe as being a hat, but her worries at what her architect husband (Walter Pidgeon) will say disappear when it is revealed that he has bought a fancy new car. 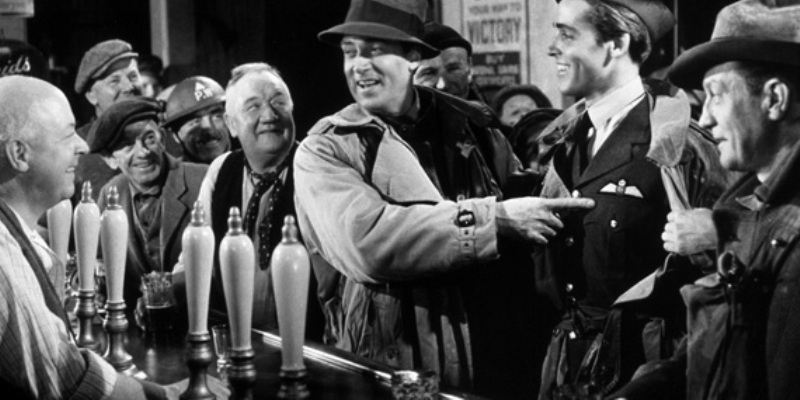 They have two young children – Toby and Judy (Christopher Severn and Clare Sandars), and a 19-year old son Vincent (Richard Ney) who has just returned from Oxford and caught the eye of Carol (Teresa Wright) the granddaughter of the village aristocracy, the haughty Mrs. Beldon (Dame May Whitty), who disapproves of lowly station master Mr. Ballard (Henry Travers) entering his new rose to compete against hers in the upcoming village flower show. All these problems are thrown to the wind, however, when war breaks out, and everyone finds themselves affected. I don’t often find myself emotionally affected by films. It’s very rare that one will draw any kind of response from me outside of the usual happiness, excitement or occasional anger, and the number of films that have made me cry can probably be counted on two hands. 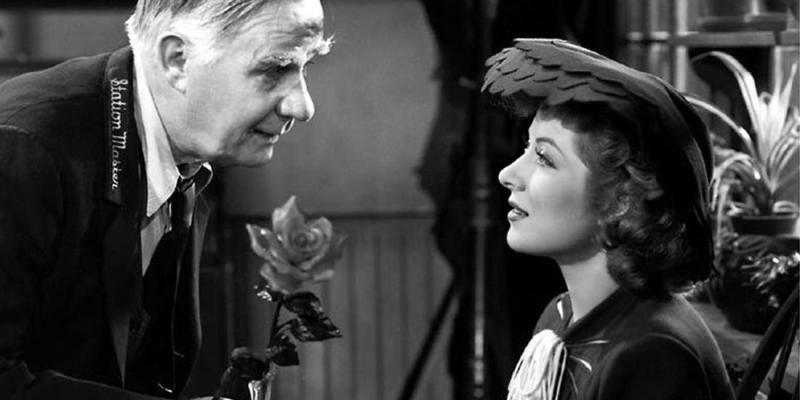 However, that number has increased by one recently, and if I were to rate films based purely on their ability to move me emotionally, then Mrs. Miniver would be praised as the greatest film ever made. It was recommended for me to watch by Terrence Faulkner of The Focussed Filmographer, who neglected to recommend keeping a box of tissues next to me throughout the viewing. This film destroyed me, and I’m not sure why. Nothing that happened surprised me all that much and nothing was new that I hadn’t seen before (though admittedly every time I’ve seen them elsewhere can probably be traced back to Mrs. Miniver as a source of inspiration), yet there were certain points, mostly towards the final act, that rendered me powerless against the flood emanating from my face. It’s probably because of the content. I’m a sucker for World War II stories, and ones that tell a side of the events we rarely see is usually something that will interest me. 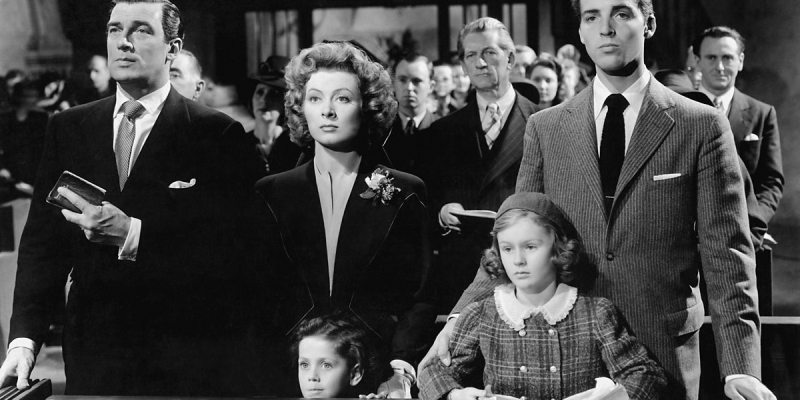 Mrs. Miniver, for instance, depicts the impact of World War II not on the soldiers on the frontlines, but on the families they’ve left at home, who find themselves first seeing people close to them heading off to war, and then attempt to survive as the war is brought to their door, whether they like it or not. Released in 1942, Mrs. Miniver was a hit in theatres whilst the Second World War was still raging, and at times it feels very much like a propaganda film, created to boost morale amongst the people still at home. The fact that it closes with a sermon almost delivered to camera, proclaiming how it’s not just the soldiers fighting the war, but everyone at home too, really cements this point in. Now, looking back, it sheds light on the difficulties faced back then, even if it is slightly sugar-coated at times, showing as it does the lives of a relatively well-off family instead of those who might be struggling a little more. Also, the depiction of the film’s sole German character, a soldier who parachuted into the village before being encountered by Mrs. Miniver whilst her husband is participating in the Dunkirk Evacuation, is a touch on the caricature side. It’s understandable given the overall message and when it was released, but in hindsight the German soldier is almost cackling with evil intent as he celebrates his county’s ruthlessness, slaughtering everyone in Rotterdam in 2 hours, even the women and children. Time is well spent setting up both the characters and their situations before the war begins, and it pays off in dividends later on. I couldn’t help but brace myself for the longest time watching the Minivers spending money extravagantly on fine things and worrying over the least important minutiae, knowing full well that just around the corner they’d all be concerned with far greater issues, threatening their lives and the very existence of their country. The gradual outbreak of war was well implemented too, listening to the church bell-ringers idly discussing the invasion of Poland’s prospective impact on the flower show, and the men in the pub dismissing the broadcasts on the pub wireless. 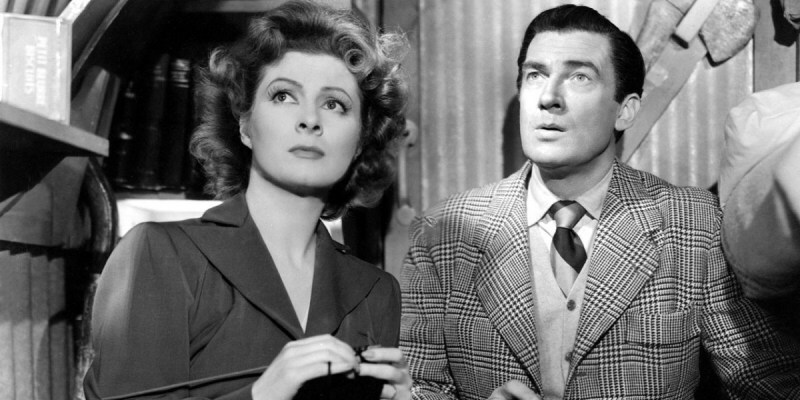 Through everything, Garson’s Mrs. Miniver remains a solid and dependable presence, always on hand with just the right thing to say at just the right moment to keep everyone around her from falling apart. She was the role model for everyone watching this back then, setting an example for everyone to live up to in terms of keeping their head in extreme situations. Speaking of which, the various scenes in bomb shelters or during air raids, when there’s nothing to do but listen and dread the whistling of the bombs dropping, hoping with every fibre of your being that the bomb you can hear doesn’t land near you, may well be the most tense scenes I’ve ever seen. The realism of the characters and situations make this a must-watch. I can fully understand it winning Best Picture (along with five other awards) back in 1943, even if I’ve yet to see any of the films it was nominated against, but some are on the List so I’ll get there soon enough. This is easily amongst the best films I’ve had nominated for me from the List for this year, and may well be one of the best I’ve seen on the List overall. This entry was posted in 09/10, 1001, Choose Film, Nominated List, Review, The List and tagged Dame May Whitty, Greer Garson, Henry Travers, Mrs. Miniver, Reginald Owen, Richard Ney, Teresa Wright, Walter Pidgeon, William Wyler by jaycluitt. Bookmark the permalink. I was not as excited about this movie as you are. The problem for me is that this is very clearly aimed at the domestic market in the US to garner support for the war effort. Hence the family is an American (upper) middle class family doing what American middle class families do and being how an American family at the time would like to see themselves. Transplanting that to England just seems… weird. Something about the lights, the characters, the choices of words just feels wrong. It helps when we get to the actual action, the bombing as you mention is very tense, but then with the end sermon we are back in the midwest sending an appeal they will understand. For a more authentic story on life during the Blitz you should go for “I Was a Fireman” from 43. The aim is the same, domestic morale boosting, but this feels a lot more real.